I did read that les paul didnt like the sg because it was to thin. If you google les paul the log you can see why that might make sense. But his name came off the sg after his contract expired, i think. But yes you right his les paul recording was his favorite but many complained about How to work all the switches on them if they didnt have the manual. But that was a guitar he said would do it all from rock and roll to smooth jazz studio work, but i never played one. Go figure lol but those reissues are one of the best guitars made today in my opinion. i think the necks are nice and thin compared to my sg 3. Ive heard the same, I haven't played one, supposedly a .800-.875 profile which would be similar to the D Trucks model or the 30-60 339, a soft D shape. The pickups are 490s with a 498 I imagine? Golden i would have to check to see. I did own a sg 3 faded with the 490 pickups which are ok but can get brittle real easy. I was able to tweak my amp to get it softer but then once i played the sg 3 with the "57" pickups i was hooked ! Sorry, that's NOT an SG "Custom!" It's a Limited Run SG (3 pickup) Standard, with '61 era (reissue) Sideways vibrola. 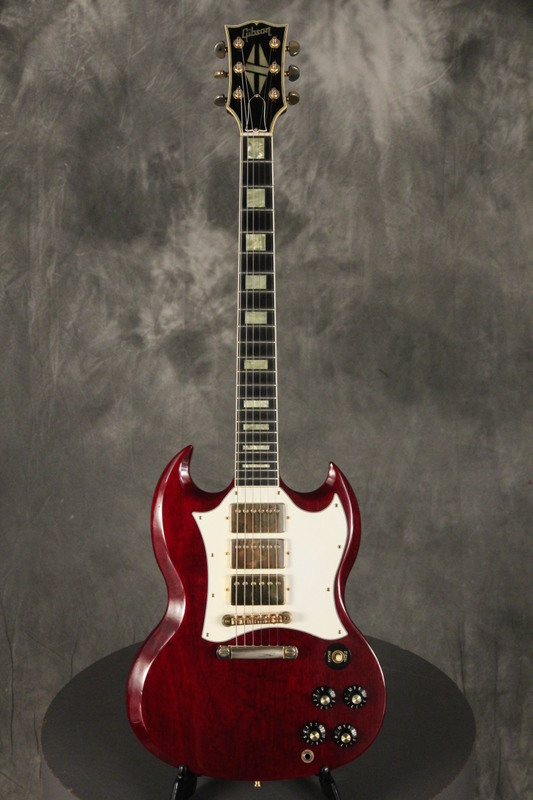 But, yeah, it's a great looking SG, nonetheless! 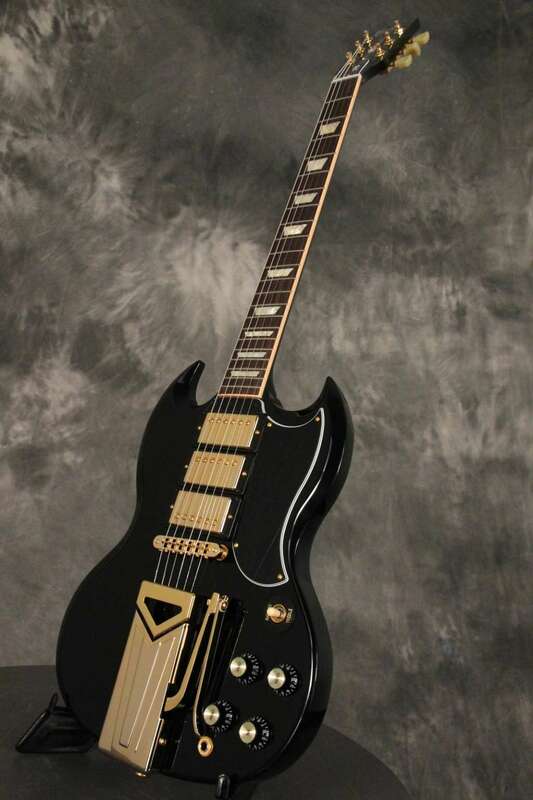 Yes this a SG3 , anyway a cool guitar. I would take the SG Custom Shop 1988 in a heart beat and have a good air brush guy blend in the color. It is unfortunate that I am not able to post any pictures but I encourage anybody that wants to post them feel free. My only access to the Internet is on an iPhone and it will not let me post photographs . But I did want to let everybody know in the event that you do not receive vintage guitar magazine that there was a great article about Jimmy Hendrix and the two gibsons he performed with which were a flying v at the isle of wight in 1970 ( and he also played that on the movie rainbow bridge) and he actually owned three flying v 's one that had a phychedelic paint job he played in paris while on tour in 68/69. And Hendrix also played the white 67 SG custom of which was in 1968 69 which he played on an appearance of the **** Cavett show , he played Isabella and then he debuted machine gun. He also played red house on the same guitar at a Stockholm Sweden concert in 1969 . Many of you know you he also played red house on the flying V at the Isle of Wight which i feel was his finest performance ever. He died less then three weeks later. What I found interesting was Jimi Hendrix is on the cover of vintage guitar magazine december 2016 and he was also voted number one guitar player by the people that receive vintage guitar magazine. He also appears in this article talking about the Gibsons that he played . Almost 50 years after his death. Anyone that has photos to share please post or this thread will dissolve. But now it working and wanted to show off this sg for sale as i had not seen one before. Did gibson change thr format here ? Lots of sub-topics all got combined. I almost bought one for 599 when they came out ! 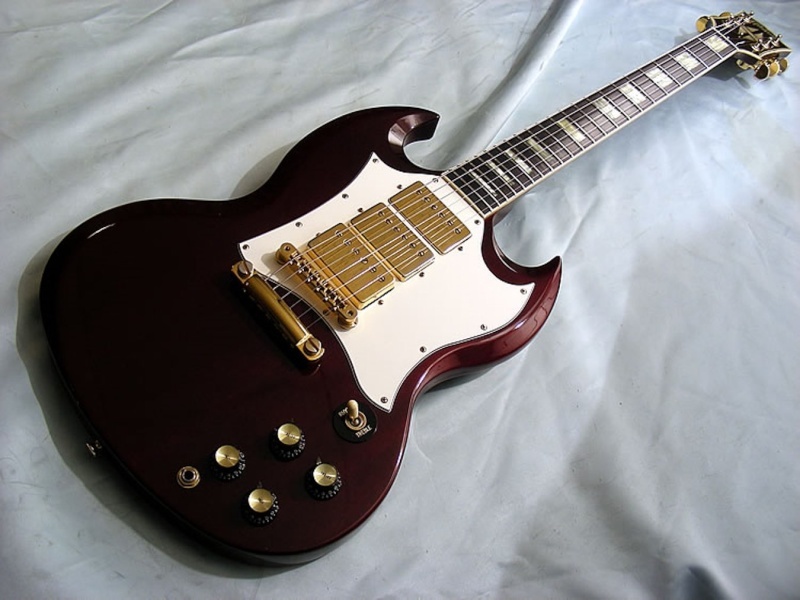 Why did gibson take out the SG threads when it was one of the greatest guitars ever designed? If your talking about the forum, they kind of threw all of us kids into one room now. I guess some of the fellow students felt left out because no one was posting in certain areas. So like a bunch of misguided fellow kids, it was easier to keep track of "US" and calm those who needed it down in one big room instead of 6 different rooms. Paranoid Redneck Here ...............Stay away from that Gibson Acoustic room!!! Those Educated Commies in there will get you!! !